Photos from my Meetup group's May cocktail party. We meet once a month and talk, laugh, and enjoy. There is a piano and typically someone will play and sing as we all gather around. 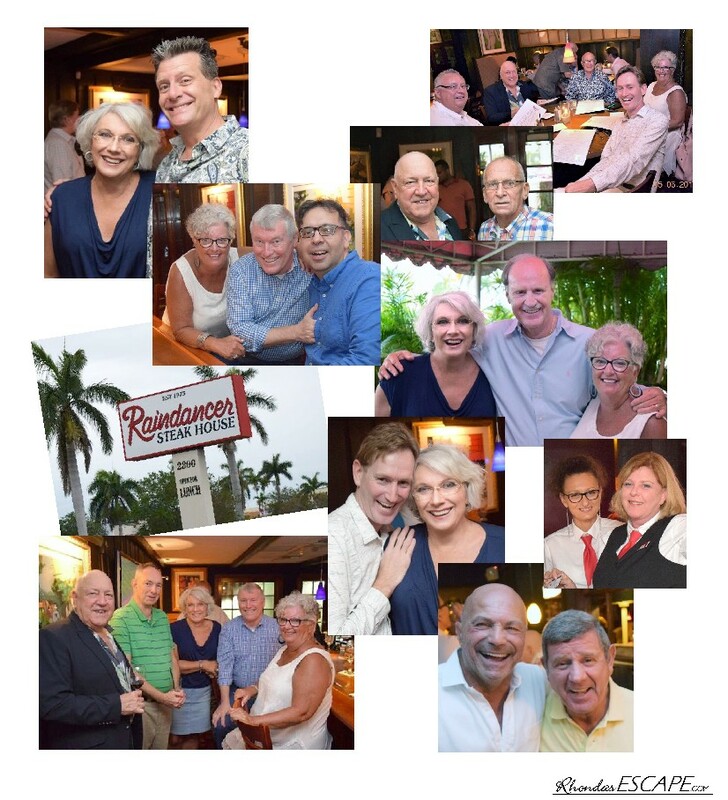 There are always plenty of munchies provided by the wonderful "Raindancer Steak House" and all are invited to stay for dinner on a special menu in the main dining room; top right photo. Excellent food - Thank you Spiro, Nikki and Jody. In my opinion The Best Restaurant in West Palm Beach. Don't belong to Meetup group - JOIN! Don't have one in your area - START ONE! Thank you Charlie, for your many years of effort keeping this group going. Always a fun social ESCAPE.